I have a ton of evening clothes. 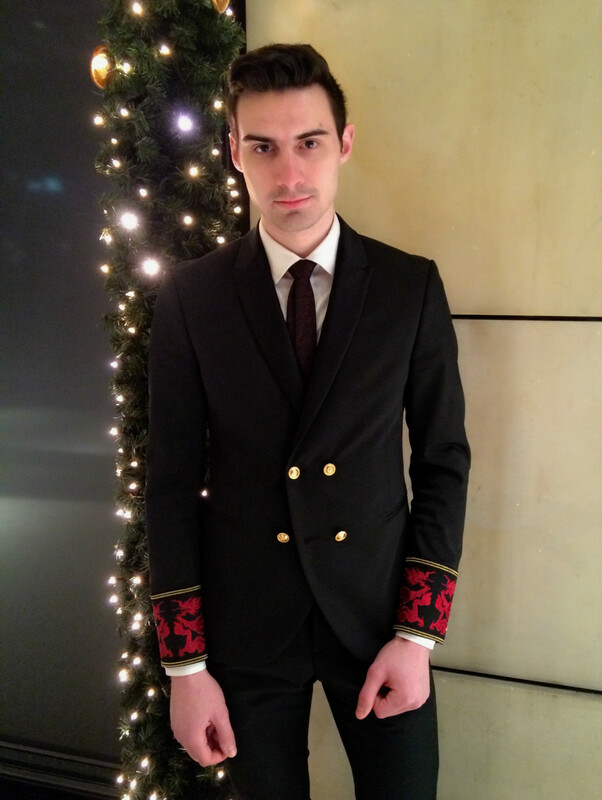 My formal wear closet consists of everything from the classic black single breasted peak lapel tuxedo, to a white double breasted tuxedo with black silk lapels and even a beautiful printed midnight blue tuxedo that I have yet to wear. My collection also includes many many many dinner jackets including sequenced and studded jackets that are all statement pieces. Unfortunately I don’t often have the opportunity to wear them. 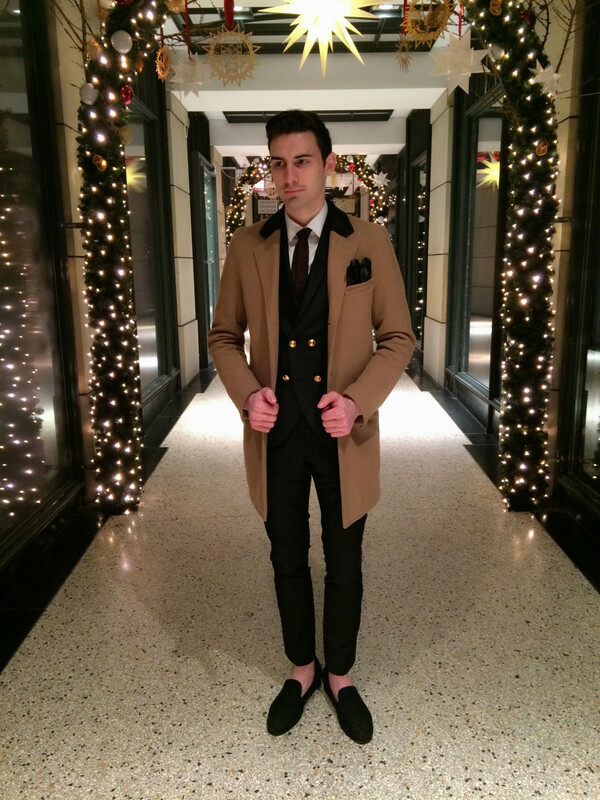 With the party season here I was able to wear a few of my evening outfits during the past few weeks. Here is one of my looks that I wore over the weekend. I apologize about the poor photo quality but with 2015 here, there are big plans to improve the quality and content of Mimosas And Me. I appreciate all of your endless support and guarantee that you can look forward to big changes in the near future. 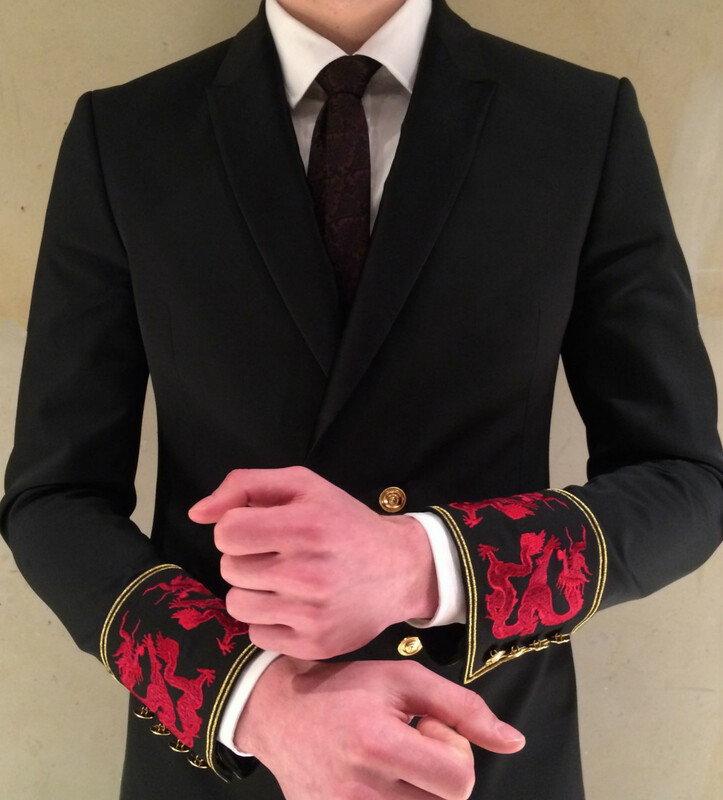 Anyway, as you can see the jacket has red dragon printed cuffs. I just think its so unique and really special. I’m also wearing a burgundy Dolce & Gabbana super skinny tie. Normally I would stick to a classic black bow tie but sometimes it’s important to change things up a bit. 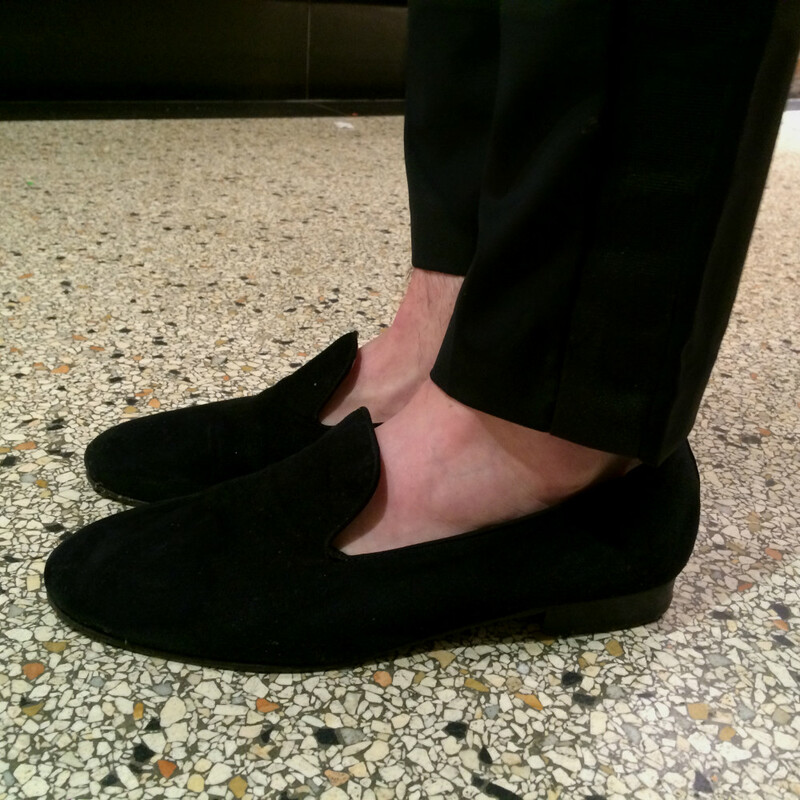 Made to measure tuxedo pants and black velvet slippers completed the look. What do you think? I like so much your jacket!!!! Very stylish look! I love your suit Justin! And your slippers are so cool! So elegant, perfect in every single detail!!! 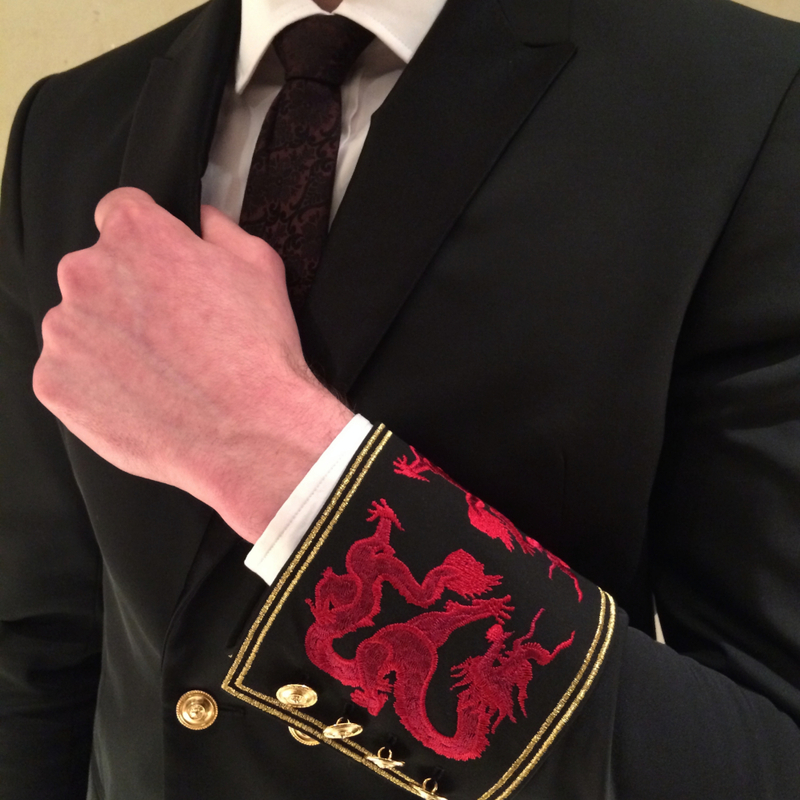 you're so handsome...love the dragon details on the sleeves of your suit! Oh, my god! I fall in love with your trendy style! This jacket is absolutely awesome! That jacket is not something I would wear but it sure does looks good on you!! I love this, very elegant! You look very distinguished. Oh I love this outfit! So awesome! That jacket is really chic! Wow! Love this look. The details of your jacket is so nice. This look is amazing! You are so handsome in these pictures, by the way! We obviously still supporting Mimosas and me! Very sleek look. I'm loving the clean lines of your topper/coat. Those slippers are making me melt. 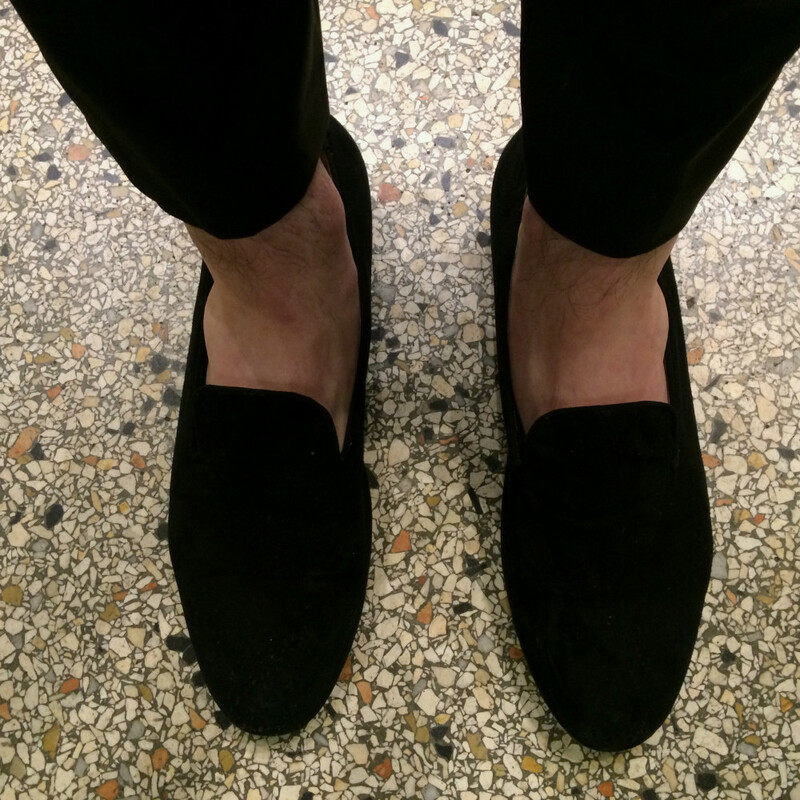 I'm a Stubbs & Wootton slipper girl but theses Boss ones are simple & chic. Love it. What a chic look! Love the velvet slippers! Great detailing on those sleeves! Very elegant and I just love the cuffs and tie, perfect color combination! OMG! I fall in love with that suit! The outfit looks great! And the brown coat on top of it makes it so much better! 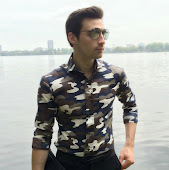 Just found your blog and I think it's incredible!! Followed via Instagram! Let's keep in touch!! Wow! Awesome look! Totally adore it!! So chic, lovely jacket !! 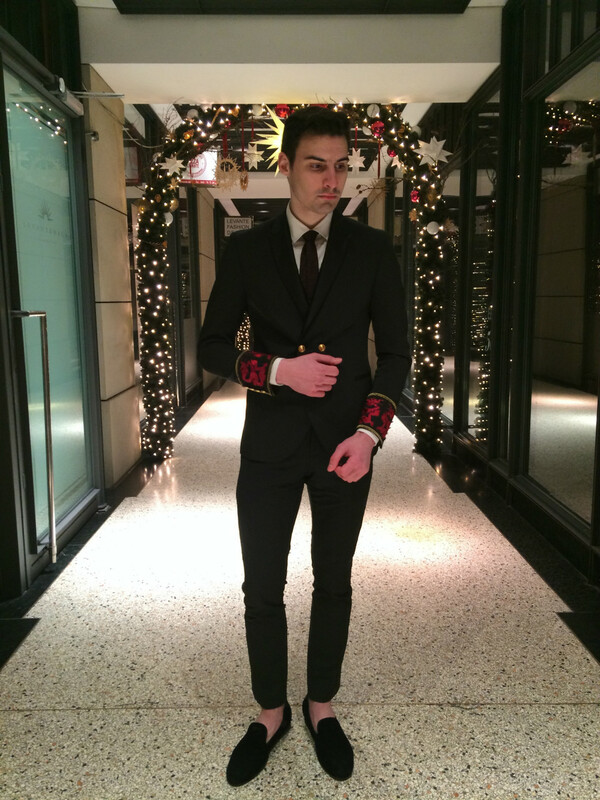 OMG this suit is perfect on you! Such a style! I love this dragon detail on your jacket !